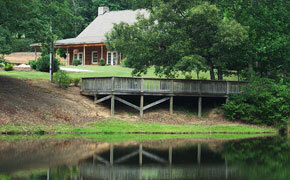 Southern Wesleyan University can facilitate your conference, corporate retreat or meeting – no matter how large or small. Clean, neat, quiet, air-conditioned meeting rooms will help all attending to benefit from your preparation for the meeting. 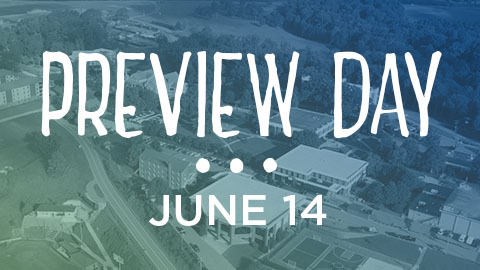 Learn more about our facilities on our virtual campus map. 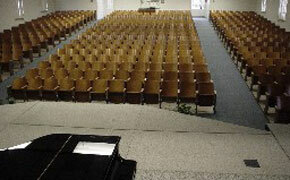 The air-conditioned auditorium seats 400 in theater-style seating and is the perfect location for hosting a speaker or concert. The stage, complete with lighting and stage curtains, works well for meetings or for a dramatic presentation. 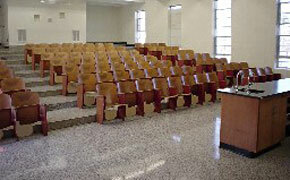 This 100-seat lecture hall setting is equipped with various tools to aid in an educational-style conference. It has a graded floor seating arrangement with each chair having a fold-out desk attached to the arm. The auditorium is equipped with a large chalkboard and facilities for media presentations. As the hub of student activity, the Campus Life Center is a very busy building on campus. 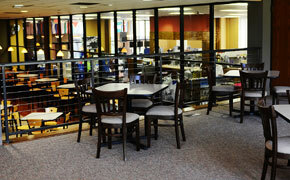 It houses our bookstore, campus post office, and coffee shop. 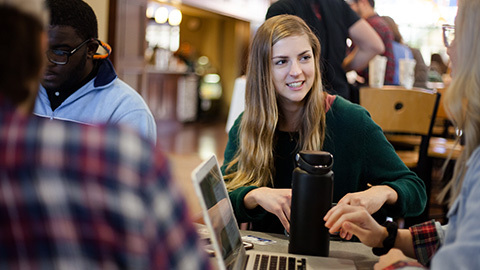 Students can watch TV on the big screen, visit Blue Hill Coffee & Tea Co., get a snack in the Warrior Court or relax in the second-floor lounge. The Campus Life Center also houses the Student Life offices, Student Government offices, and Career Services offices on the second floor. 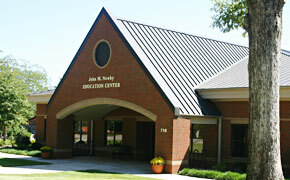 John M. Newby Education Center is an educational facility that houses classrooms, faculty offices, a faculty workroom, a break room equipped with vending/drink machines, a computer lab, and restrooms. Each classroom is equipped with audio-visual equipment. Classrooms can accommodate up to 42 people. Both the Brower and the Gibson Science buildings are used primarily for classrooms for all our students and also for faculty offices. The classrooms seat 20 to 40 people and have comfortable padded seats and blackboards for writing. 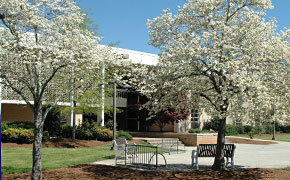 Gibson Science Building houses our science laboratory and science classrooms.